Life is identified by breath and heartbeat. In this liberally illustrated three-lecture course, three professors of medicine will reveal just how exquisitely detailed, developed and integrated the heart, lungs and their systems are. Using newly available images which show just how beautifully fluids such as air and blood flow and move in the systems, this course will explicate the anatomy and processes involved in heart and lung functions of both children and adults. Professor Andrew Argent is Medical Director of the Paediatric Intensive Care Unit (PICU) at the Red Cross War Memorial Children’s Hospital. He is a member of the international advisory group for the Advanced Life Support Group (UK) and course director of the Advanced Paediatric Life Support course (UK) in South Africa. Professor Argent is a past president of the Critical Care Society of Southern Africa, and current president of the World Federation of Paediatric Intensive and Critical Care societies. He was invited to Boston Children’s Hospital Paediatric ICU – one of the most respected PICU’s in the world – to teach, lecture junior staff, participate in ward rounds, as well as to be interviewed for a webinar which was broadcast worldwide. 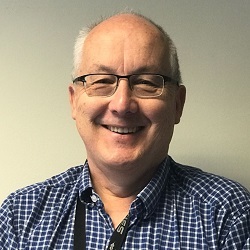 Professor John Lawrenson is the Head of the Paediatric Cardiology Service of the Western Cape, a cross platform unit serving patients at both the Red Cross Children’s and Tygerberg Hospitals. He initially trained as an adult cardiologist but later turned to paediatric cardiology for which he completed a Fellowship in Paediatric Cardiology at the Catholic University of Leuven in Belgium. Prof Lawrenson now spends his time conducting research and looking after children with heart disease. His clinical and research interests include echocardiography, rheumatic heart disease, the epidemiology of congenital heart disease and the life-time management of patients with complex heart disease. 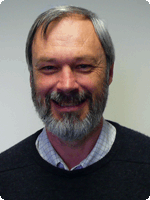 He is the lead investigator of the IMHOTEP, INVICTUS and PROTEA studies at the Tygerberg Hospital site. Professor Ntobeko Ntusi is the Head and Chair of Medicine and Clinical Lead for Cardiovascular Magnetic Resonance and Cardiovascular Computed Tomography at the University of Cape Town (UCT) and Groote Schuur Hospital, Cape Town, South Africa. He obtained a B.Sc(hons) degree in Cellular and Molecular Biology from Haverford College, USA, and an MB.ChB degree from UCT, before completing a fellowship in Internal Medicine through the Colleges of Medicine of South Africa. He served his internship and later worked as a community service medical officer and senior house officer at Frere Hospital in East London, South Africa. He read for a D.Phil in Cardiovascular Medicine at the University of Oxford, and completed his MD in Cardiology at UCT. He is a qualified cardiologist, through the Colleges of Medicine of South Africa. 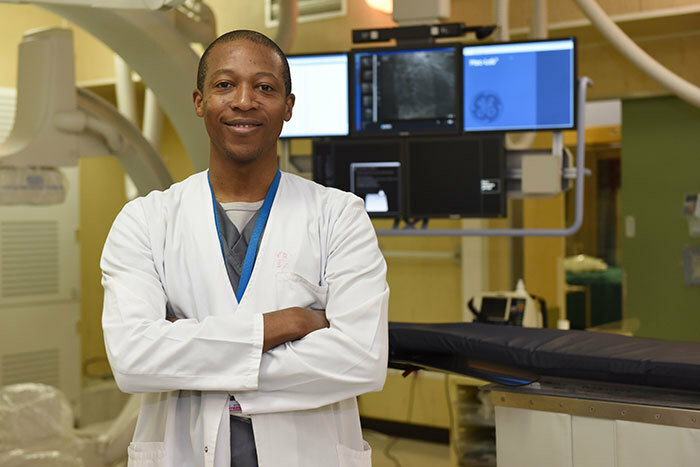 Dr Ntusi has co-authored 6 book chapters and over 60 peer-reviewed publications with over 1,000 citations, and is a subeditor of the South African Heart Journal and a section reviewer on UpToDate. He has been actively engaged and contributed to improved understanding of cardiomyopathy, inflammatory heart disease and heart failure in South Africa and abroad. Dr Ntusi brings expertise, commitment and enthusiasm in his quest to further the mission of the HeFSSA.